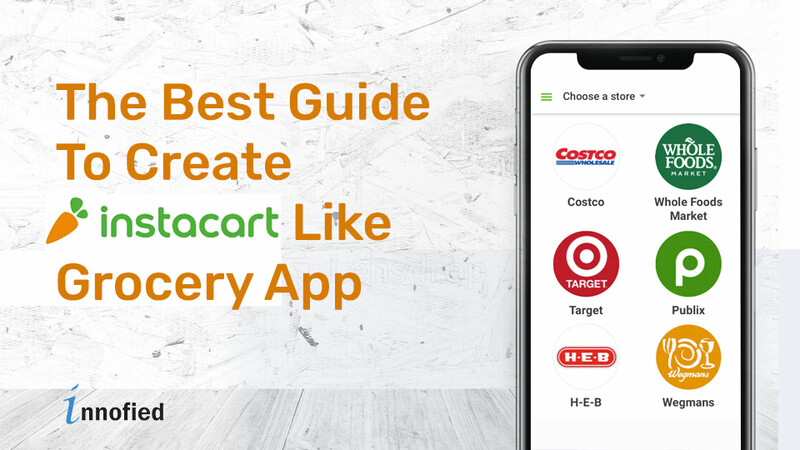 How To Build A Grocery App In 2019? The Only Guide You Need. After the consecutive success of uber, several startups are taking advantage of the app trend, or uberization of the economy. And why not? After all, it is a $57 billion industry and growing. For every action, there is an equally opportunistic reaction option. Cabs, salons, hotel and flight booking, food delivery have apps that provide instant service. Oh, and the list does not end here! What is responsible for this kind of consumer behavior? Why have on-demand apps maintained a continuous and steadily increasing ROI? The reason is simple: its fast, easy, and convenient. Think of the following scenario: for example, you have guests coming over for Thanksgiving dinner and could not make space to buy groceries. The rush at the stores are crazy. Time is flying. 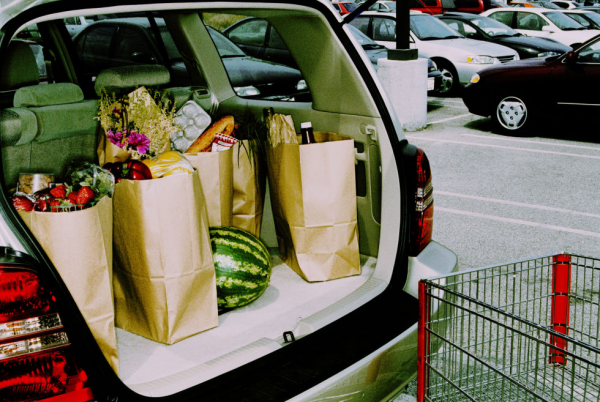 This is when an on-demand grocery delivery app like Instacart comes to your rescue. Advertised to deliver in one hour, this service is available to users across 1200 cities and 25 states in America. There is more than one reason behind 1,000,000+ installs on google play alone. Apart from letting shoppers buy any food items available in a local grocery shop, the app shows nutritional information for each product. But ever wondered how this huge network of customers, shoppers, and stores function just through a few clicks? If you want to know how to start a business like Instacart, or how to build a grocery app it is essential to understand this process. Through their smartphone, the user will choose from thousands of grocery items. They can use any preferred payment mode that ranges from a variety of American card along with google and apple pay. As you are wondering how to build a grocery app, let me tell you this is one of the first steps. 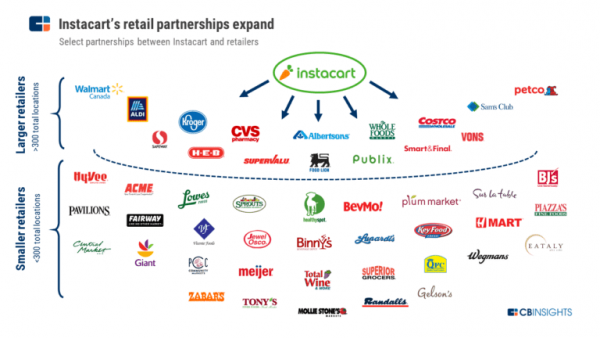 Instacart has contracts with several major American grocery stores across the country. Therefore, grocery shoppers are allowed to pick items from one or more than one retailers. As a product may not be available or out stock at one store, it is likely to be available in a different one. 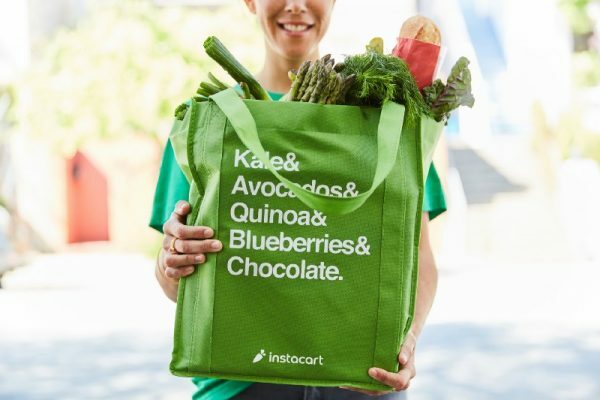 This has solved the problem of shoppers running from one store to another and thus partly explains the preference among consumers to an app like Instacart to physical shopping. Don’t you hate it when the housekeeper fails to turn up? Well, you are not alone. Having a busy schedule makes it hard for everyone to make space to go to the store for household items. The 40 hours/week work schedule is a monster that refuses to leave your side. Take a sigh of relief with an on-demand grocery delivery app that allows someone to do your work. Instacart has also integrated a chat system that can be used by the customer to talk to his/her shopper while they rummage the stores. Apart from shoppers designated close to the stores, there are part-time workers who will be assigned an order if they are close by. Uber follows a similar model of assigning the nearest driver to a passenger. The order is handed to the customer at the doorstep according to the preferred delivery time. The inbuilt GPS tracking system allows the customer to get an idea of the estimated time of arrival. Customers can also tip their personal shoppers at the time of delivery or while making the payment. We can thus safely conclude that on-demand apps are not just a great way for startups to cash in money but creates opportunities for employment as well. Grocery mobile app development involves several features that will vary according to the needs of the user. So in case you are wondering how to build a grocery app, you have landed on the right page. As a grocery app development company, each feature is curated with care in Innofied. Like any other uber for x, on-demand grocery delivery app with have an app for the customer, one for the grocery shopper/delivery man, and another for the admin. This is the most important app with the most features and you don’t want to mess this up. But many investors may not know what to include. But don’t worry, we have got you covered! As it is crucial to keep all the account details in one place, each customer must register themselves before placing orders. Integrate social media login to make this step user-friendly. No one likes to type a lengthy email or create passwords. It is however not necessary to put the login page right when the app is opened. Like most shopping websites, users can be made to log in before they proceed to checkout. Discuss with your grocery app development company how you want this integrated. All the stores that you have a tie-up with should be displayed in a neat and clean manner. You may use logos of each retailer instead of a name list. this will improve the user experience. After the first order, the stores can be displayed according to the ones previously selected. Users can also customize this option with a favorite button that will let them see the preferred stores first. People often discontinue from a service if they cannot find what they need. It is crucial to design your UI/UX in such a fashion that the customer finds what they are looking for with minimum effort. So, after the store has been selected, the category along with subcategories of items like beverages, fruits and vegetables, dairy, and so on will be displayed next. This is where the game begins. Better the UI/UX, easier the shopping experience and more the products sold. A bug-free smooth experience is what will prevent your customers from switching to a competitor. Oten the item details or pictures takes a few seconds more to load than the user is willing to wait. Laggy applications have a higher chance of being uninstalled. So it important to choose a grocery app development company who are experts in creating an amazing interface. A search bar is an additional option for users who want to find a specific product faster. While searching, matching or related products can be suggested. The product page apart from the details like nutritional value and weight will also show related products or what other customers bought. Packaged food items should display the shelf life. Customers may have an option to rate the product or simply thumbs up it. Recipes for a particular food item can be provided below all the other details. You may not know how to build a grocery app, but even then this one feature should be common for all delivery services. A list of delivery slot timings along with dates will give an impression of user-friendliness. It is no secret that people would want to schedule the delivery according to their convenient timing. Coupon codes not just makes an existing customer happy everyone like to pay lesser than the actual price, but attracts and encourages more people to download the pp as well. Most on-demand apps in the market come with a first time free delivery or x% off in the first three orders offer. However, many users tend to delete the app after the offer has been availed. You can prevent this with an awesome user experience! Many customers will not complete the order if this final stage is not free of technical errors. 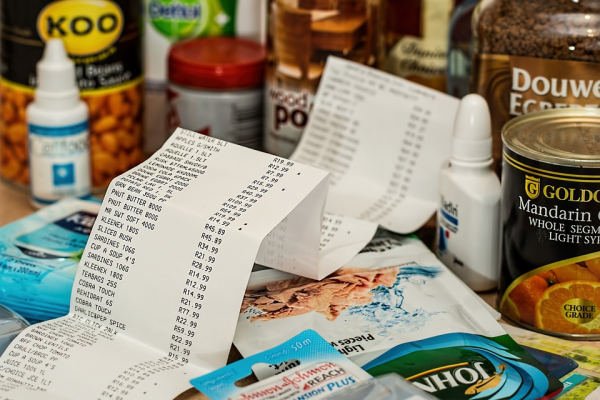 Only an experienced grocery app development company will make the payment integration bug free. Stripe, Braintree, and CCAvenue are most commonly used ones. Make sure that the grocery app delivery company you partnered with has a fair amount of knowledge regarding these. There could be an option to tip the shopper at this part well. No startup will ever be successful without a dedicated customer care service. You don’t want the customer to discontinue using your services just because they were unsatisfied once for reason. You may know how to build a grocery app, but it is equally important to cater to their needs. The main menu will have this option, usually at the end. This will include a phone number, email, and live chat as well if possible. Once your personal shopper has finished picking all the products, they can select the ‘out for delivery’ button. This way the customer know where you are and can be ready to receive their order. GPS integration is, therefore, a must. After the order has been placed, you might want to edit the quantity of an item or simply not want it anymore. Chatting with the shopper is one way to update your shopping list. Related read: Ready With Your Food Delivery App Plan? Let’s Shortlist The Features! You now understand the customer app’s features. But this does not answer your question ‘’how to build a grocery app’’? Now we move on to the app used by the delivery agent. Though some of the functions are similar, like login and rating, the user interface for this one will differ in many ways. So, what are the features which are essential for an app like Instacart? A simple social media login is not sufficient. The reason behind this is that the app requires more information from people interested in becoming shoppers. They need to meet the required criteria before qualifying. This does involve a few more steps, but we suggest that you don’t make it too long. The registration process should include basic contact details, location, car ownership, preferred delivery time, and the type of service they want to provide; shopping or delivery. All the orders that are yet to be delivered will be shown here. When clicked on an order, details like delivery location, order amount, the time slot, list and quantity of the items will be displayed here. While purchasing the items of a particular order, the shopper should click on a button that will notify the customer. This feature has to be integrated. You don’t want the app to suffer a bad review because the shopper missed a delivery, do you? Part-time delivery agents may miss an order if they were busy with other errands. This is an on-demand app, and instant service is part of the definition. So, it mandatory to discuss this feature with your grocery mobile app development partner. Just like the customer app, the shopper app should have a chat box. Otherwise, it would make no sense to integrate one for the customer, would it? This feature will help the shopper contact the customer if he has any issues understanding a detail of the order. We suggest that you ask your developer to enable a picture sending feature as well. After the order has been picked up, the shopper has to deliver it within the time slot chosen by the customer. If he is late, a poor rating may be slapped on his profile. In order to deliver effortlessly, a map should be integrated for a faster service. Without the map, the shopper might end up calling the customer more than once to get the exact location. That is not only unsafe for the shopper as he will be driving, but contributes to poor customer experience. 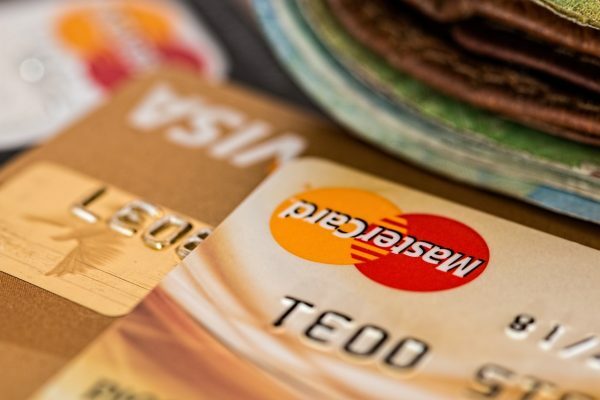 The shopper should have a preferred method of accepting payments and tips. This part can include graphs or statistics showing the earning for each week or month. Your developer probably does not know how to build a grocery app if they mess up this step. This is not just an important feature for the customer, but for the delivery guy as well. This will also include an email, phone number, and live chat. You should always keep an option to provide feedback and customer. A page dedicated to all feedback from each client with the rating and reviews can be integrated. You may discuss the rating system you want with your grocery app development company. A simple thumbs up or down, a five-star rating system, or smileys are just to name a few. Finally, the admin app needs to be created. This can be made accessible from both web pages or app. We arrive at the final stage to your query, how to build a grocery app. Here, access is provided only to one or a handful number of people. Read on to know more. Here, you don’t want any registration process, but simply login details as it will be used by one or a few people. The security for this one will be particularly strong as it contains confidential details. All the activities and information of the shoppers by a city like location, tasks completed, date of registration, contact details will be available for viewing from this panel. A separate panel for the highest performing and lowest performing agents can be included. As there are thousands of customers, it is not feasible or necessary to see the information of each. What can be integrated instead, are the no of users city or location wise. 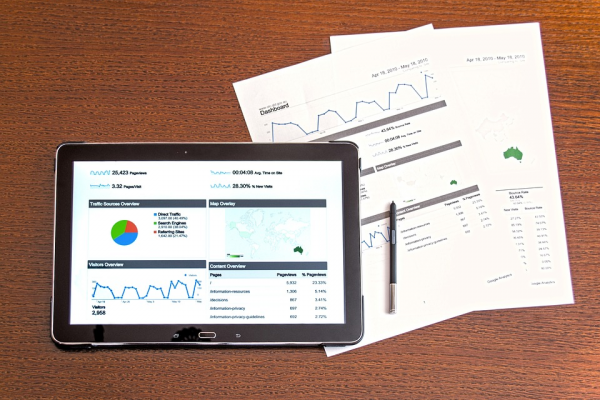 You can integrate a separate auto-generating performance data which will show the details of revenue earned. This will show revenue from a particular location. This will help you understand the logistics of demand as well. This should be integrated for a variety of issues. This includes negative reviews from a customer, complaints regarding technical glitches or even suggestions to improve the app and its services. Of course, as the admin, you can customize on what you want to receive notifications. Here again, you can integrate auto-generated statistic system for revenues earned on a daily, weekly, or monthly basis. This is one of the most important features for the admin app as this will help you understand what is to be improved for a particular location. Make Money With Your Own App Now! If you are reading this, we are going to assume that you want your own app created. Are you thinking how to build a grocery app? Or how to make a delivery app? Or what does the grocery app development cost? Don’t wait up! As an experienced team of app developers, we understand your needs better than anyone else. With hundreds of happy clients, we are an award winning company. Contact us now for all your app based needs!